The Jayhawks are coming off a disappointing defeat at West Virginia on Saturday afternoon to fall to 4-2 in Big 12 play. Luckily, Texas Tech dropped a road contest at Baylor on Saturday night to also fall to 4-2. 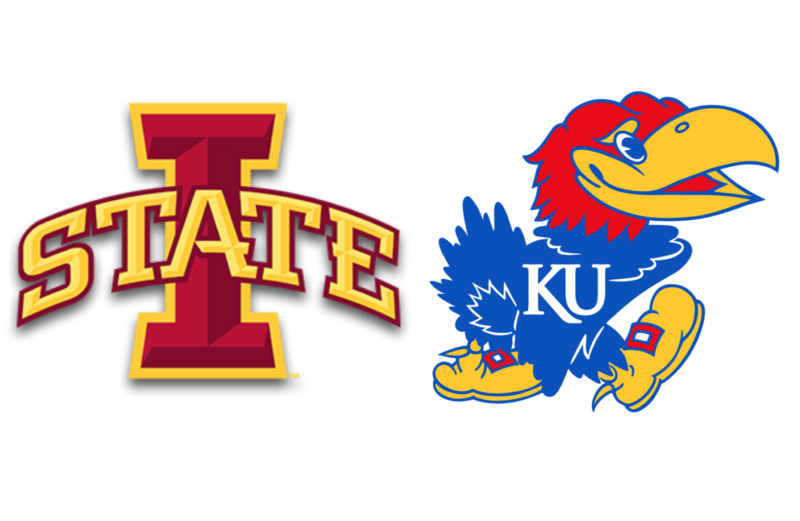 Both teams are tied atop the Big 12, along with Iowa State and Kansas State. Kansas looks to get back on track on Monday night against the Cyclones, a team they were blown out by almost three weeks ago. One of the reasons KU has won so many Big 12 titles in a row is that they rarely let teams sweep the season series, thus making Monday night’s showdown a huge one. Just one-third of the way through Big 12 play, there is a four-way logjam atop the conference standings with four teams at 4-2 in league play: Kansas, Iowa State, Kansas State and Texas Tech. Kansas leads the series with Iowa State, 181-65, including a 93-16 record in games played in Lawrence (52-10 in Allen Fieldhouse). 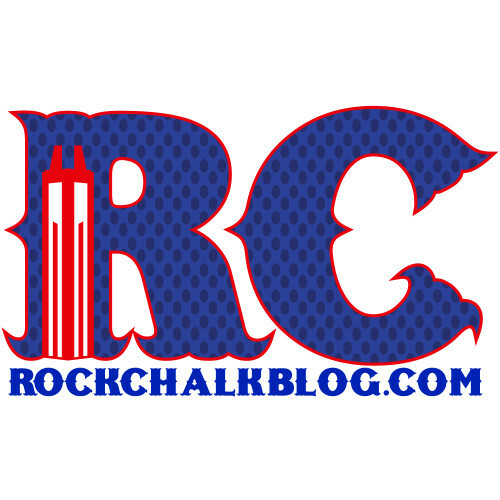 KU is 13-2 versus ISU in Allen Fieldhouse under Bill Self beginning in 2004. Since the inception of the Big 12 in 1996-97, Kansas is 66-18 all-time on ESPN Big Monday (38-1 at home and 28-17 on the road), including 46-12 under head coach Bill Self (27-0 at home and 19-12 on the road). KU has won 31-straight Big Monday games in Allen Fieldhouse. Overall, KU has won its last 11 ESPN Big Monday contests. Kansas is 87-11 following a loss in the Bill Self era. Since 2013-14, the Jayhawks are 37-3 following a loss. When the game following a loss is in Allen Fieldhouse, KU is 48-3 in the Self era, including 2-0 this season. Iowa State’s best player is sophomore guard Lindell Wigginton. Due to injury, though, he’s only played in eight games this season. In his absence, Virginia transfer Marial Shayok has averaged nearly 20 points per game. Other than Shayok, the Cyclones have two players averaging 10 or more points per game. Junior forward Micheal Jacobson averages 13.1 points, and freshman guard Talen Horton-Tucker averages 11.7. Iowa State isn’t a very tall team, with only one player at 6’10” or taller. However, they have five players that shoot at least 33% from three. The Jayhawks let the Cyclones shoot 52% from three in the initial meeting in Ames. Now starting to heat up following an injury-plagued start to the season, Wigginton is one of the best players in the Big 12. It seemed like he was going to leave for the NBA after last season, but opted to return to school after a trip to the NBA combine. Wigginton is very athletic and an excellent shooter. Devon Dotson and Marcus Garrett will probably take turns guarding him throughout the game. It’s a tough assignment, as Wigginton is the type of player that can put up 20 points in a heart beat. Shayok has had an impressive start to the season, averaging 19.4 points, and 5.2 rebounds per game. He doesn’t have as much flash in his game as Wigginton, but his stats are still impressive. Shayok is shooting 51% from the floor, 39% from three, and 85% from the line. 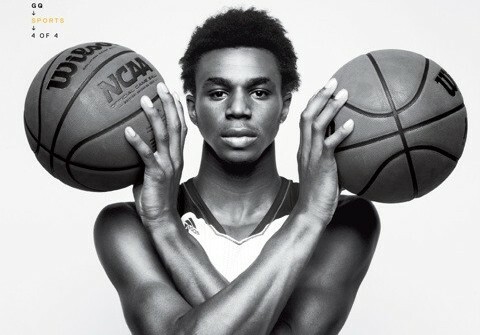 He is an excellent finisher at the rim that dominated Kansas in all phases back on January 5. I’m keeping this one short and sweet. Kansas is money on Big Mondays in Allen Fieldhouse. They haven’t let too many teams sweep them during the streak. I like the Jayhawks to keep that trend going. Under Bill Self, the Jayhawks have been brilliant coming out after a loss with a record of 87-11. 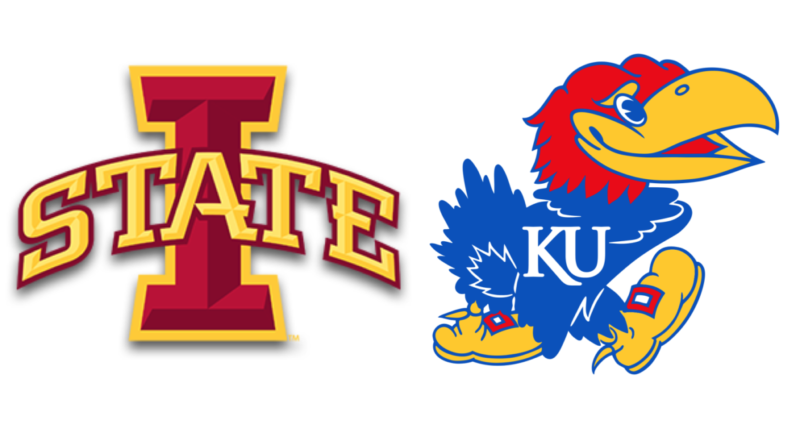 I expect this one to be close for most of the way, as they usually are between Iowa State and Kansas, but late free throws give the Jayhawks the win and cover.